Dedicated to helping underprivileged children from Brazil have access to books. Books for Brazil – Fairy Godmother is a non-profit organization dedicated to helping underprivileged children from Brazil have access to books. This organization raises funds, acquires books, and distributes them among children and youth of low-income families. We reach children and youth through several local community services such as public hospitals, public libraries, social services programs as well as home visits and distribution events. To promote literacy among underprivileged children in Brazil by providing free books and giving them the opportunity to experience the magical world of reading. We are committed to realizing our mission by operating in an ethical manner and being accountable for results and activities. We collect used board books and picture books in Portuguese, Spanish, and English. We raise funds, through events, festivals, and sponsorships, so that we can buy Portuguese language books in Brazil. We count on contributions from individuals, businesses, and others charitable organizations. We have public charity 501©(3) status and contributions to our organization are tax deductible. Books are distributed directly to children and public facilities such as hospitals, libraries, and social services programs. through our four programs at no charge. We provide information and motivation to parents to participate in their children’s reading activities. We introduce books as a fun activity to kids age 12 and younger to stimulate their desire to read. The ultimate goal is to inspire them to become life-long readers. By relying substantially on volunteers in the US and local volunteers in Brazil, we keep our overhead costs low and we are able to reach out to all parts of the country. Joelma Nascimento came to Boston in 1998 to learn English. While in Boston, she learned about American culture and how important it was for a child to have access to books. She was also amazed by the children’s resources at local libraries, which allowed underprivileged children to have access to great books. This sounded like a dream to her. Growing up in São Paulo, Brazil she knew that children of low-income families are not used to having books for fun. Books are not a part of their daily lives. Books for Brazil was born with the desire to make a difference in the lives of these children. The first delivery event was very informal with few books and volunteers, but the experience of reading the books and giving them to the children was amazing. The kids really liked the books and they wanted to know when they could have more. Books for Brazil incorporated in June, 2005, as a non-profit organization in the United States. 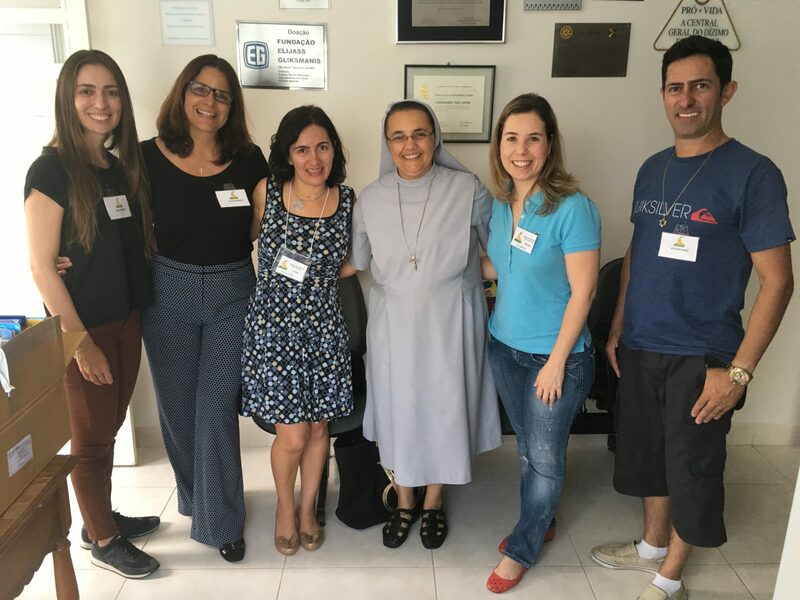 Today we count on about 20 passionate members in Brazil and the U.S., and we expect to grow and be able to help a greater number of children and their communities. We have received requests from people who go the extra mile to make a difference in their communities. One example is a school coordinator in Pernambuco, who had been trying to open a library at her school for about 4 years. In a request to Books for Brazil, she mentioned that all she needed were children books to make the school’s library a reality.